It seems that the ZTE Axon M was the device that opened the ban on folding smartphones. After the proposal of the Chinese firm, Samsung and Huawei will try to enter the segment of folding smartphones, and it seems that sooner or later we will have to welcome another firm, one of the giants of Asian origin. And that brand is Oppo, who has no intention of falling behind in the race of smartphones that are transformed into tablets and has already patented the technology with which it intends to join this movement that, like it or not , has all the ballots to become in the near future of mobile world. Unlike the other foldable smartphones, the Oppo's smartphone has a single display but it can be folded. It also comes with a dual camera setup on the rear side. 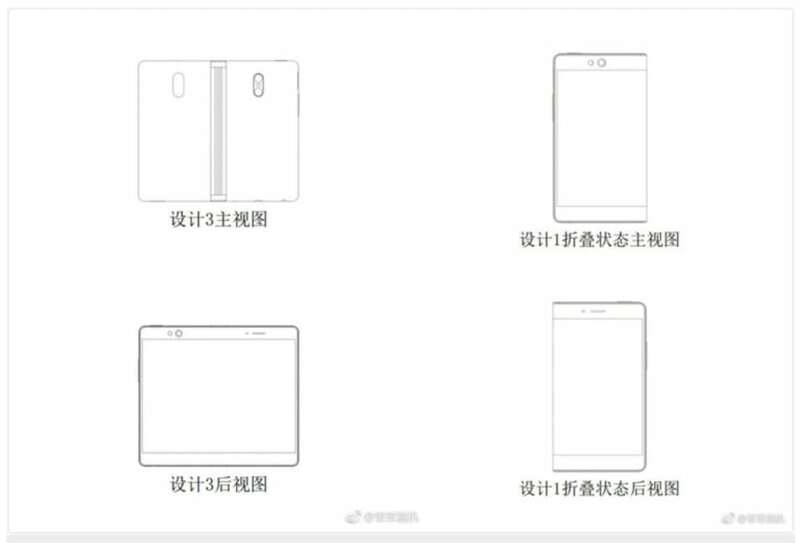 The company belonging to the conglomerate BBK Electronics, which has already shown us the odd folding smartphone prototype, has recently registered a patent, in which it can be seen how Oppo's plans go through a smartphone capable of unfold in half to become a tablet , in the same way we have seen in the concepts of other brands with similar objectives. Perhaps the most striking of the patent, is that the device would not require a central hinge as in the model of ZTE, but that the terminal could be folded on itself. In this way, as you can see in the figures, when the curious gadget is in "phone mode", one of the sides of the screen would dispense with the frame. At the moment there is no more information related to the latest Oppo patent, although it is not the first time that the firm declares its intention to create a smartphone with this peculiarity. Even so, we will probably have to wait a few months until we can know more details about it, and see if it finally becomes reality, along with the proposals of the rest of the companies that have in mind to create folding devices.